In a collection of essays published by Yad Vashem in 2009, David Bankier and Dan Michman devote one chapter to the simultaneous creation of Holocaust research centers in Poland, France, Italy, Germany and Israel. These centers have remained the repositories not only of the earliest documentation of the history of anti-Jewish persecution in the nazi-fascist era, but also of the history of the emergence of Holocaust research as a field of historical study. These centers which were created in the immediate aftermath of the war, have for many decades been arduously working toward acquiring acknowledgment by the European societies that perpetrated the extermination of the Jews. They also represent the development of key interpretative models of an understanding of international action and justice which were later integrated in the mission of the Holocaust Museum in 1993. Celebrating the 60 years of the Center for Contemporary Jewish Documentation in Milan, means to revisit the exceptional work of young Italian Jews who after the war were committed to understand the tragedy their community had suffered. They began to retrace and disclose the twenty years of a fascist dictatorship which some of their fathers had embraced and others had fought and that the broader Italian society was trying to forget. This anniversary offers an opportunity to reflect on the galvanizing and critical role of the Jewish minority in Italian society and the continuity of anti-Semitism and radical ideology. CDEC was founded by the Italian Jewish Youth Federation in Venice in 1955 under the directorship of Roberto Bassi. Its initial purpose in post-war Italy was to study Jewish participation in the Italian resistance and assert the commitment of Italian Jewry in the anti-fascist movement. During this period, CDEC became the leading research institution on the history of the persecution of the Jews in Italy, collecting and recording testimonies and memories of the Italian Jewish community who experienced the Shoah. CDEC’s studies began to rupture the silence in mainstream Italy about the Fascist past, the dictatorship and the persecutions. 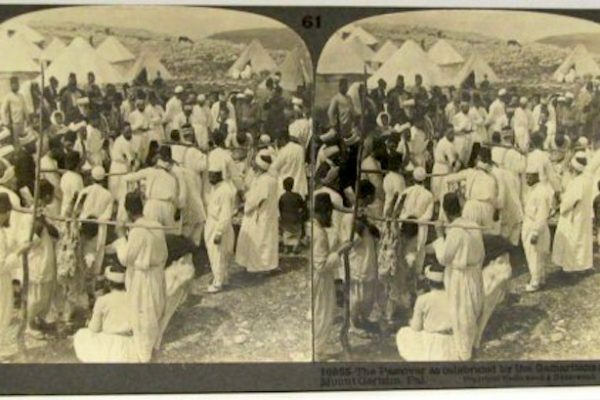 In recent years, the CDEC has expanded its archive to include Italian Jewish life since the emancipation of 1861-1870 and the Italian Zionist experience. 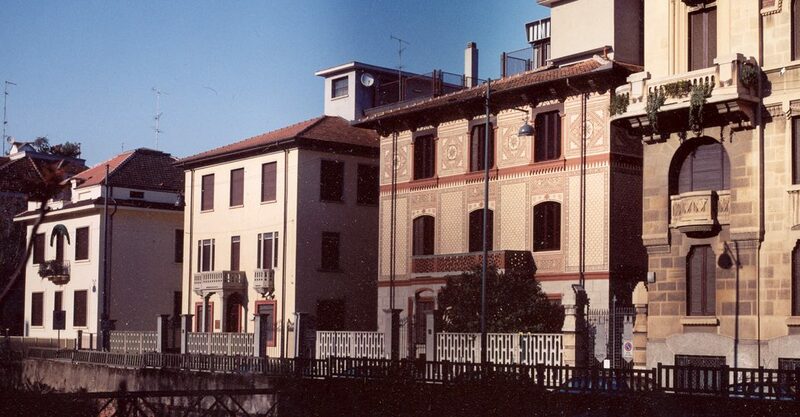 Today it is the leading archive and research institute dedicated to the history of 20th century Italian Jewry and houses thousands of documents, photographs and artifacts of Jewish life in Italy. In spite of a growing bibliography in English and a substantial historiography of Fascism, the Italian chapter of the Holocaust is still relatively unacknowledged. Although many American and Israeli scholars have successfully integrated the most recent research and primary sources in their work, some major research institutions in Holocaust studies often continue to refer to old “apologetic” narratives about the Jews living under Italian Fascism. Today, CDEC seeks to reach international audiences making available sixty years of Holocaust research in Italy, dispelling misreadings of the persecution of Italian Jews and taking part in contemporary debates upon the disintegration of civil liberties and the construction of collective memory. At the end of World War II, the Italian Jewish community had lost about 35% of its pre-war population: 20% were murdered in Auschwitz and the other 15% converted to Catholicsm or settled abroad. In the newly established democratic Italy of 1945 the Jewish population were one of the few tangible reminders of a fascist past. Italy did not hold any “Nuremberg” like trials, nor did they undergo a process of defascistization, in other words the country had successfully sunk into oblivion, avoiding its past. 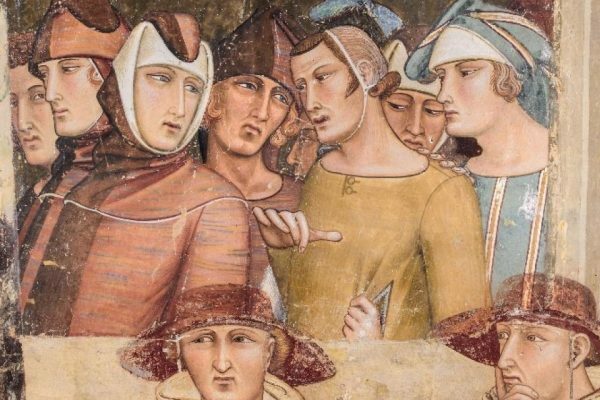 As masterly depicted by Giorgio Bassani in his short story Una Lapide in Via Mazzini, the attempt by Jews to re-enter Italian society was greeted with suspicion. Italy had ruthlessly stripped Jews of their rights, assets, homes and jobs, and had collaborated on the deportation of about 9,800 people (between the peninsula and the Italian territories) to extermination camps. There was a societal expectation that the Jews like all other Italians, would participate in a collective abdication of responsibility for the dictatorship and Fascist history. The Italian population saw themselves as victims of a terrible war and did not facilitate distinctions. The Italian government, specifically the diplomatic representatives, avoided references and discussion about the persecution of the Jews and used every opportunity to emphasize the ways Jews were given “protection” by the Italian authorities. Since many Jews had accepted fascism at least until 1938, the community struggled to articulate the Jewish experience of the persecution in the new and highly simplified value system of the postwar. Even the cultural establishment was reluctant to speak of the experience that unequivocally separated the Jewish plight from the rest of the country, as suggested by Einaudi’s rejection of Primo Levi’s Auschwitz memoir in 1947. In this climate, neither the Jewish institutions, nor the new Italian government had the desire, ability or perhaps the tools to reflect on the historical material, documentation and testimonies which exemplified the relentless five years of persecution leading up to the deportations of 1943-45. For the Italian Jewish community, the preservation of this memory was prompted by the immediate urgency and need to look for deported family members. This painstaking work was led by one man Massimo Adolfo Vitale, a retired Jewish colonel of the Italian army, who had been dismissed in 1938 and whose immediate family had been deported. He began to document the deportation. After the liberation of Rome, Vitale strenuously began to collect information about the Italian victims whom, the community hoped, could still be helped. They immediately learned that most Italian Jews had not survived the first day, week or month at the concentration camps. The seemingly humble task to compile a “Yizkor Book,” a memorial document listing the name, date of birth, history of arrest, imprisonment and deportation provided the base for all subsequent research. It took ten years from the end of the war for this information to be absorbed as a source of memory and collective reflection within the Jewish world. It would take another decade before it would reach the general Italian society. While the older Jewish community leaders were concerned with the reconstruction of communal life the Italian Jewish youth began to create a suitable forum for this history, establishing the Center for Contemporary Jewish Documentation in Venice in 1955. This next generation interrogated what had happened to their parents and their country creating a Center, structured around the history of the Jewish community, contextualizing Italian Jewish history, personal and collective, while asserting the narrative of resistance. Vitale’s “Yizkor Book” soon became one of the foundational elements of CDEC. Although many of the details and even some names of deportees are still unknown, the work Vitale began in 1945 was continued by CDEC, first under Giuliana Donati and finally brought to fruition in 1991 with the publication of Liliana Picciotto’s “Il Libro della Memoria”. In 2012 the list of names of the Jews deported from Italy was officially given to Yad Vashem and it is today available online at www.nomidellashoah.it. It was through Donati’s and Picciotto’s work that thousands of deportees were identified and their names added to Vitale’s book. During this phase, the list was carefully cross-referenced with arrest records and other sources. In 60 years since its creation, CDEC has become the primary source for the study of the history of 20th century Italian Jewry, the Italian Shoah and the Italian observatory of anti-Semitism. It holds the largest Italian archival collection and library in the field, and over 300 hours of interviews with Italian survivors. Looking back at its itinerary, few landmarks must be mentioned. Between 1960 and 1972, when the Eichmann trial took place, CDEC became the primary reference for the German judiciary authority in the trials against Nazi criminals who had operated in Italy. 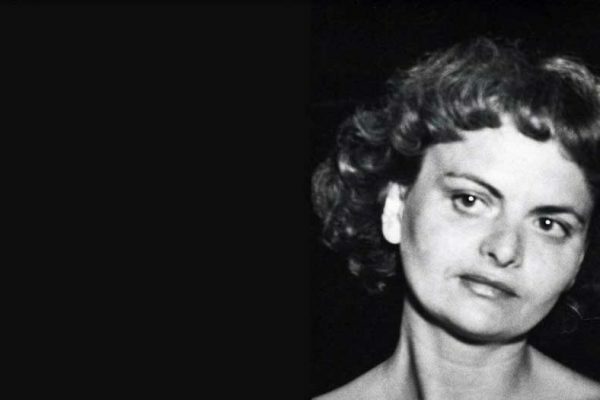 Eloisa Ravenna, the director at that time, was at the forefront of this activity and understood that CDEC was the only source of information on the persecution and deportation of the Jews in Italy and was the only institute to conduct systematic research within the context of fascist history and European totalitarianism. Faced with this responsibility, she established research projects that proved essential to all subsequent historiography and provided the impetus for the expansion of an extraordinary specialized library, which grew from 2,000 volumes to 14,000. Today the CDEC houses over 26,000 books and documents, over 50,000 photographs of Italian Jewish life from the 19th century to the present and an extensive oral history archive. The CDEC has also compiled the largest collection in Europe of documents and interviews concerning Jews who escaped deportation. In 1960 CDEC also served as the key research reference center for the first publication on the history of the Jews in Fascist Italy, commissioned by the Union of the Italian Jewish Communities and written by the young scholar Renzo De Felice. De Felice’s writing not only firmly established the Italian responsibilities in the persecution but marked the beginning of his career as the first and possibly one of the most controversial scholars of fascism. In 1961, when De Felice’s book was published, fascism in Italy had received virtually no scholarly attention and did not spark the desired debate nor did it challenge the myth that the Italian population were bystanders to the persecution and generally opposed it. Only forty years later would this Italian historiography be definitively debunked. 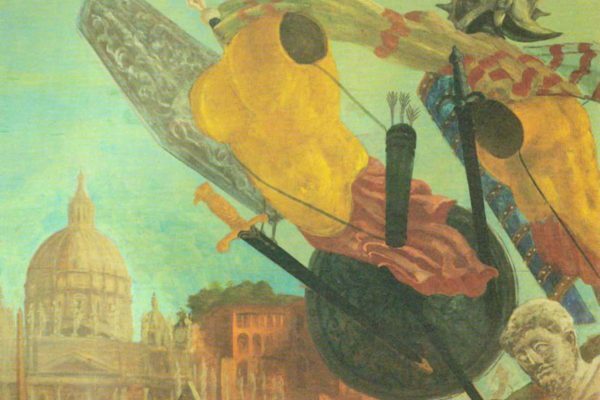 The impact from this book was however highly significant for Italy and initiated a discussion and confrontation of the broader “unspoken” chapter in its recent past. Still in 1988, in a series of candid interviews conducted by the national television, ordinary Italians of multiple generations “appeared oblivious” to the fact that Jews had been persecuted under fascism or that in Italy there were even Jews at all. The early work of the CDEC inspired a shift in consciousness, inspiring the next thirty years of scholarly work on the history of fascism, creating a platform for collective memory about the persecution of the Jews as an integral part of Italian national history. Between 1997 and 2002, the Italian government took initial steps to begin the first inquiry on the plundering of Jewish assets carried out under the Fascist regime between 1938 and 1945. 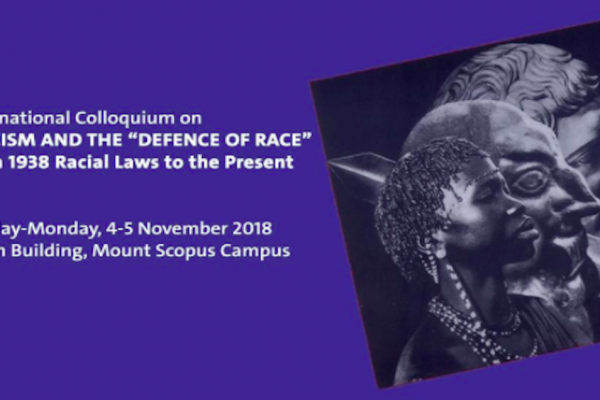 CDEC again served as a crucial reference for the research published in the Anselmi Report (2002), which established the profound degree to which the racial laws were applied to the Jewish community. In 2000 various entities such as the Task Force for Holocaust Education, Germany and Italy independently sought to mark a day of observance for the memory of the victims of the nazi-fascist extermination. They chose January 27th as Holocaust Remembrance Day, marking the liberation of Auschwitz into a universal and European symbol. Five years later the observance of January 27th was adopted by the United Nations and most European countries. One could argue that the establishment of this anniversary marked a shift from the essential one-sided remembrance of Yom HaShoah to a new understanding of the anti-Jewish persecution as an event that concerns European society as a whole. In 2002 Michele Sarfatti became the director of CDEC. Two years prior he had published what is today considered the most comprehensive account of the history of the Jews in fascist Italy (The Jews in Mussolini’s Italy: From Equality to Persecution, 2006). His text provides the main reference on all aspects of the anti-Jewish persecution from the early phase of discrimination against the Jews in the early 1930s, to the establishment of the racial laws in 1938 and the acts of persecution and annihilation in 1943. More than two generations of historians have found in CDEC a forum to study, debate and understand in an integrated way not only Italian anti-semitism and the anti-Jewish persecutions, but also Italian fascism, the Italian Social Republic and the post-war period. As research on the Shoah in Italy, the Italian territories and the Mediterranean countries expands, CDEC is opening its archive to a global community becoming a reference for scholars from all over the world. CDEC’s international outreach started with the online English language journal Quest and the Edoth project on the Jews of Mediterranean countries who transited or settled in Italy. Most recently, CDEC has been the first Jewish institute in Europe to join the Linked Open Data project (LOD) which allows the semantic connection of data from different archives. Among LOD users are Google, the Library of Congress, the New York Times and the Biblioteque National de France. Among Jewish and Holocaust institutions, Yad Vashem has also recently begun to explore LOD and will participate in a seminar with CDEC that will be held at the Italian Chamber of Deputies in January 2015. Roberto Bassi, Ricordo di Massimo Adolfo Vitale. Dal Comitato Ricerche Deportati Ebrei al Centro di Documentazione Ebraica Contemporanea, in “La rassegna mensile di Israel”, vol. XLV, no. 1-3 (January-March 1979), p. 8-21. Liliana Picciotto Fargion, Eloisa e il CDEC, in “La rassegna mensile di Israel”, vol. XLVII, no. 1-3 (January-June 1981), p. 9-44. Klaus Voigt, Das Centro di Documentazione Ebraica Contemporanea in Mailand, in “Zibaldone. Zeitschrift für italienische Kultur der Gegenwart”, no. 22, 1996, p. 51-62. Michele Sarfatti, La Fondazione Centro di Documentazione Ebraica Contemporanea, in: Fondazione Centro di Documentazione Ebraica Contemporanea, Funzioni dei Centri di storia e cultura ebraica nella società contemporanea. 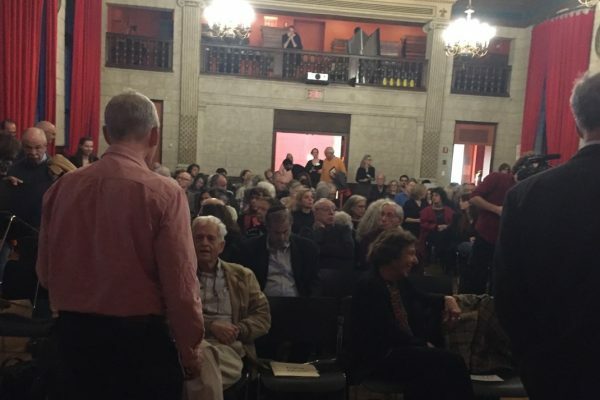 Atti del convegno – Milano, 3 febbraio 1997, Michele Sarfatti (ed. ), Librificio-Proedi Editore, Milan 1998, p. 45-50. 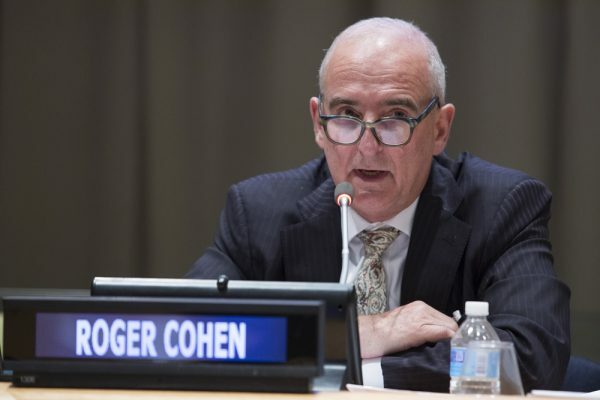 Primo Levi at the United Nations: Roger Cohen.